Less than three months since I’ve started and I’ve put nearly 9000 miles on the car. Today I’m having the oil changed at Jaremko Nissan in Spokane. I’ve also asked them to remove all the suicidal birds from my front air dam. I was surprised at all the great old cars I’ve seen in Spokane because I assumed the climate would be like Seattle. Much drier in Spokane so no rust. Jaremko has a bunch of nice oldies on display, especially the 1980ZX 10 year anniversary edition. Originally $13,900, this show car has only 448 miles. It’s worth coming to look at all the great old cars. 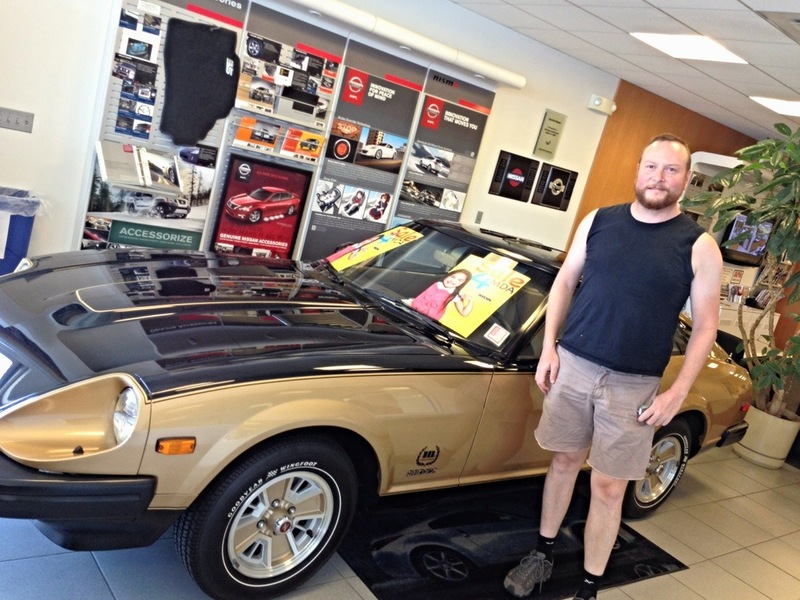 Buy one of the classics for sale or any future classic used or new car this month and Jaremko will give $100 to the Muscular Dystrophy Association. 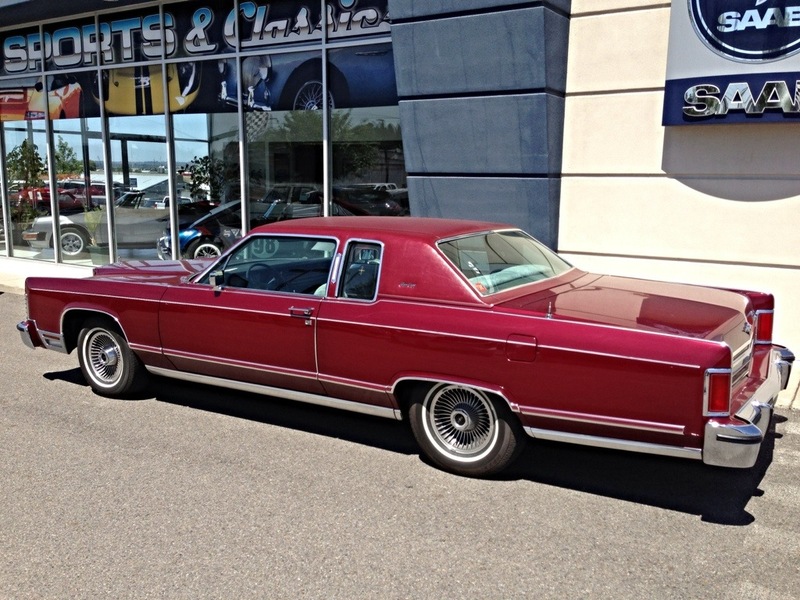 My next favorite is this ’79 Lincoln Town Car coupe. Twenty feet long. Then I would have to have the car/make/color that Donna Mills’ character drove on Knots Landing. 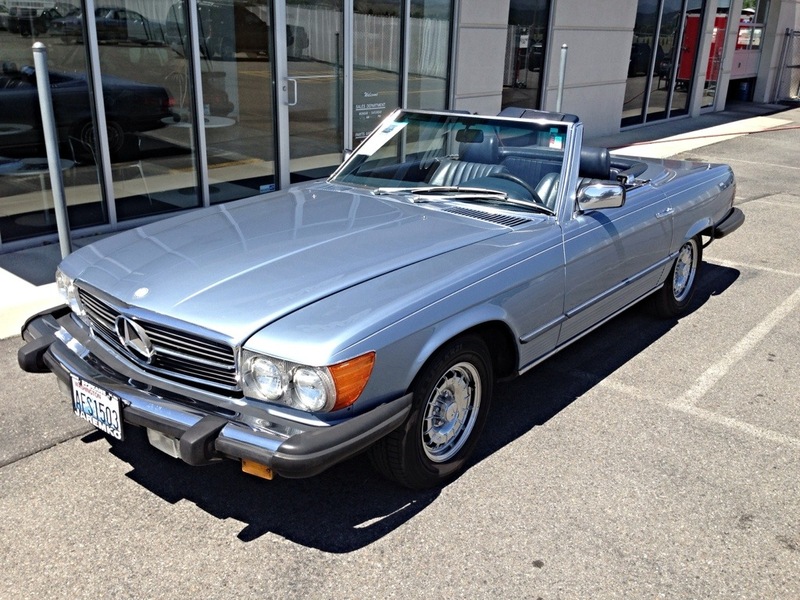 The metallic baby blue 1985 Mercedes 380SL. The baby blue went with Donna’s eyes. 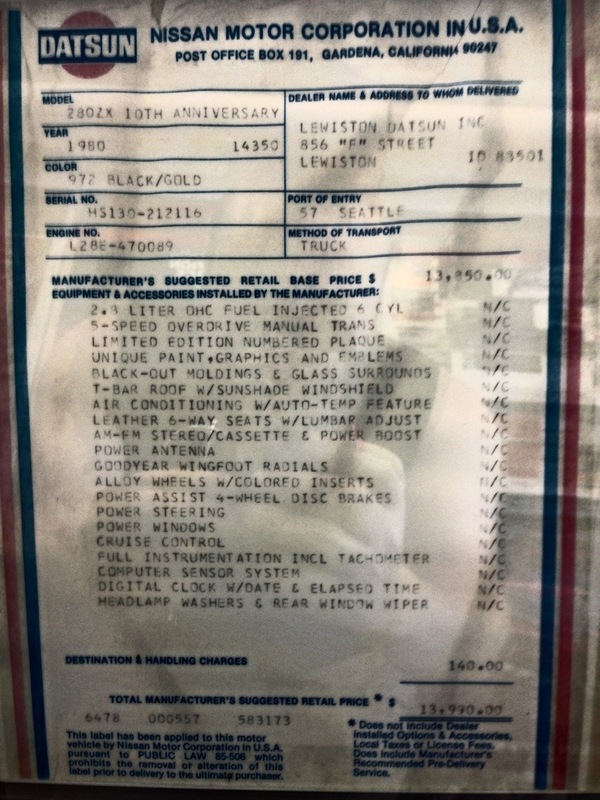 Here’s what $13,900 bought you in 1980.